The thyroid is a butterfly-shaped gland located in the neck that produces thyroid hormone. Thyroid disorders, in which the gland produces too much or too little of the hormone, can influence many functions in your body, from your heart rate to your metabolism. If your doctor thinks you are suffering from an overactive or under-active thyroid, she may order tests. Reading the results can seem like a complex task; however, if you have a systematic approach and understand what each test represents, you can determine whether or not you have a thyroid problem and, if so, what the problem is. 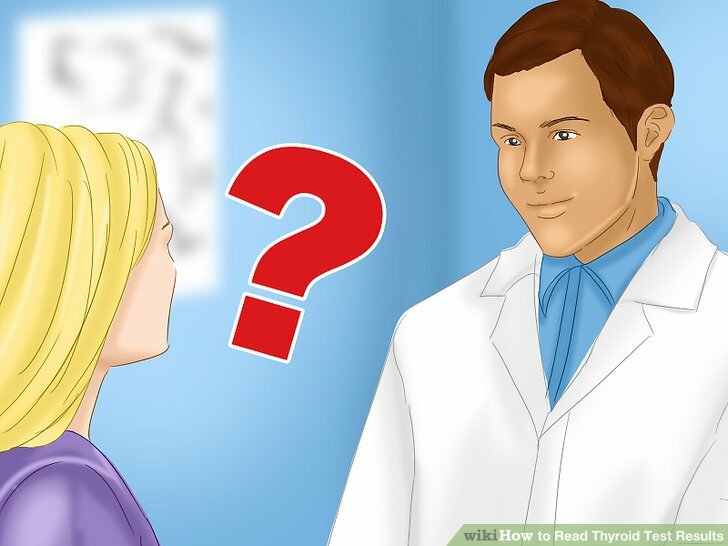 Remember that only your doctor can diagnose thyroid disease, so make sure you talk with her about the results so you can begin treatment if necessary. Check to see if your TSH reading is in the normal range. The first thyroid test that is generally taken by physicians is the TSH. TSH stands for “Thyroid Stimulating Hormone,” which is created by the pituitary gland and stimulates the thyroid to create and release hormones T4 and T3. TSH can be thought of as the metaphorical “engine” of the thyroid gland, in that it determines the amount of thyroid hormone that is synthesized and then released from the thyroid into the body. A normal value for TSH is between 0.4 – 4.0 mIU/L. If your TSH is in this range, that is a good sign; however, a normal TSH value does not completely rule out thyroid problems. TSH values on the high end of normal can indicate potential thyroid problems that are evolving. Most thyroid problems require two or more tests to detect and diagnose, given the complex interplay of the various hormones that contribute to thyroid function. 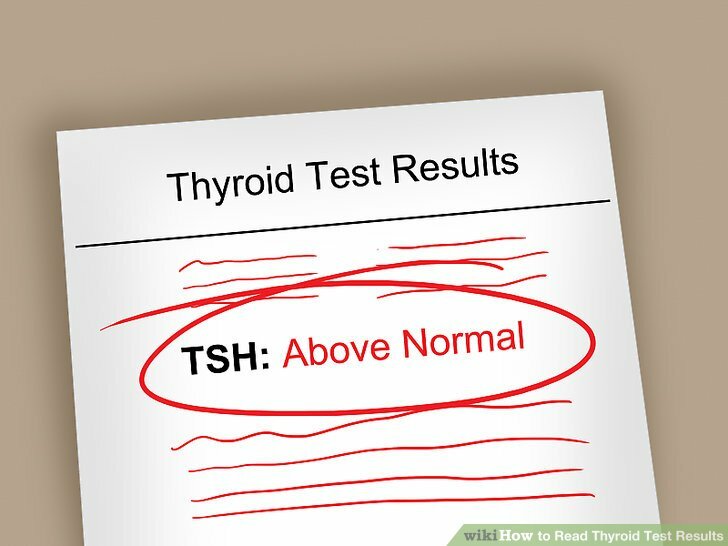 Your doctor may order more tests, even if your TSH is normal, if he still suspects that you may have a thyroid problem. Interpret the possible meanings of a high TSH reading. TSH tells the thyroid to produce more T4 and T3, which are the hormones released from the thyroid (at the command of TSH) to act throughout the body. 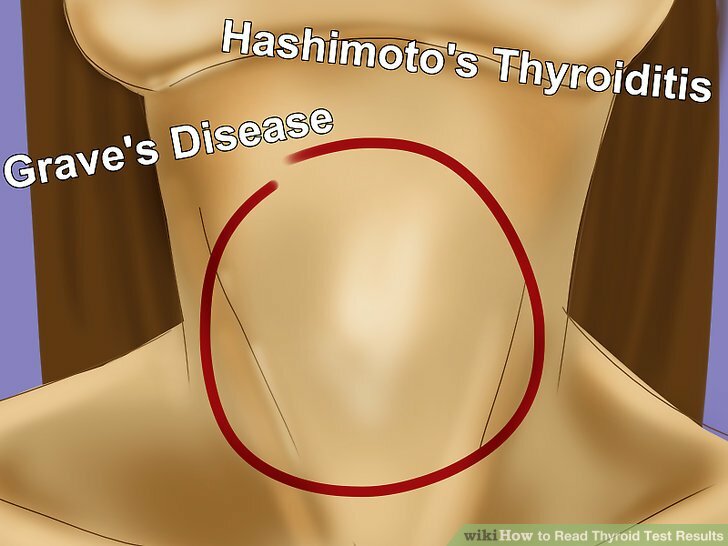 If your thyroid is underactive, then it is not releasing enough much T4 and T3, and so your pituitary gland will release more TSH to try and compensate. 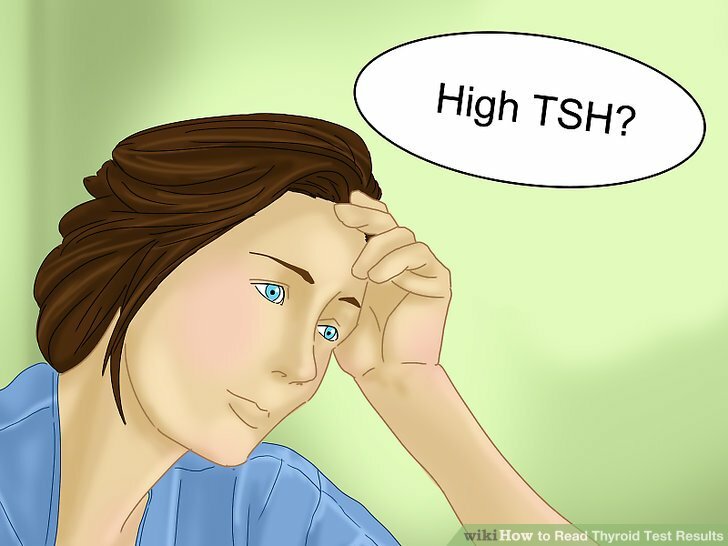 Thus, a high TSH may be a sign of hypothyroidism (a condition in which your thyroid gland is producing insufficient amounts of hormones). You will need further testing, however, to further investigate and to confirm such a diagnosis. Look out for signs and symptoms of hypothyroidism. Evaluate the possible meaning of a very low TSH reading. 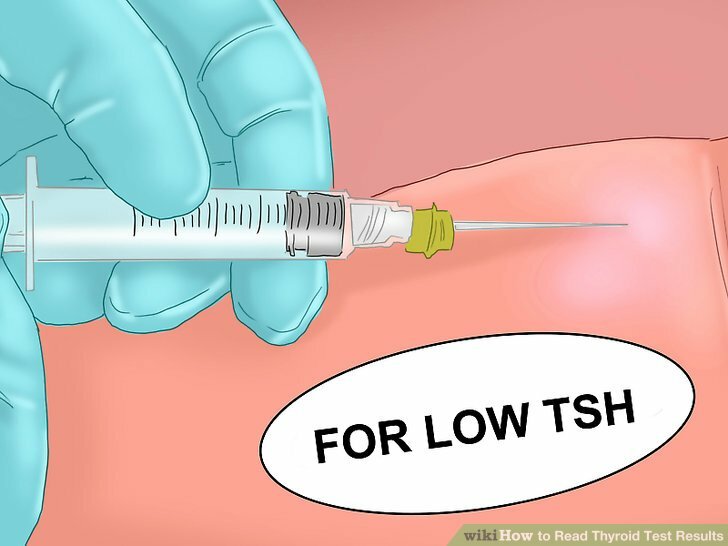 On the other hand, if you have a very low TSH reading, it may be your body’s response for your pituitary to produce less TSH due to an excess of thyroid hormone in the body (T3 and T4). As such, a low TSH may be an indication of hyperthyroidism (excess production of thyroid hormone). Again, further blood tests will be required to confirm such a diagnosis. A TSH reading alone can point your physician down a certain path, but in itself it is usually not diagnostic. Take note of signs and symptoms of hyperthyroidism. 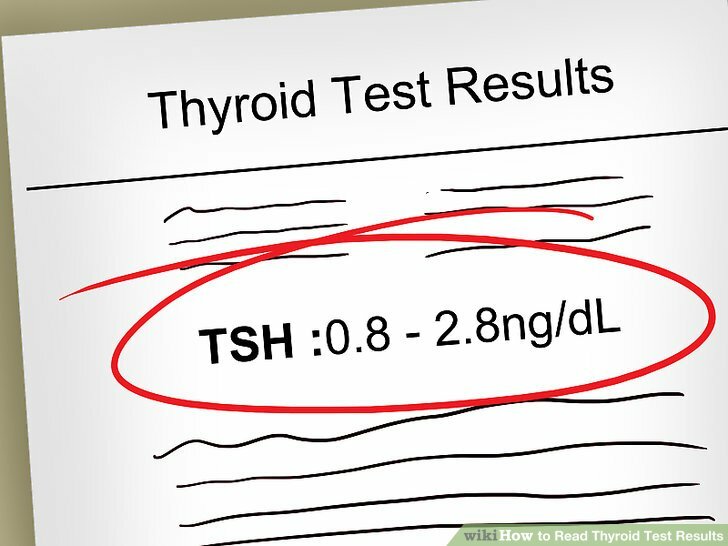 Use your TSH value to monitor ongoing thyroid treatment. 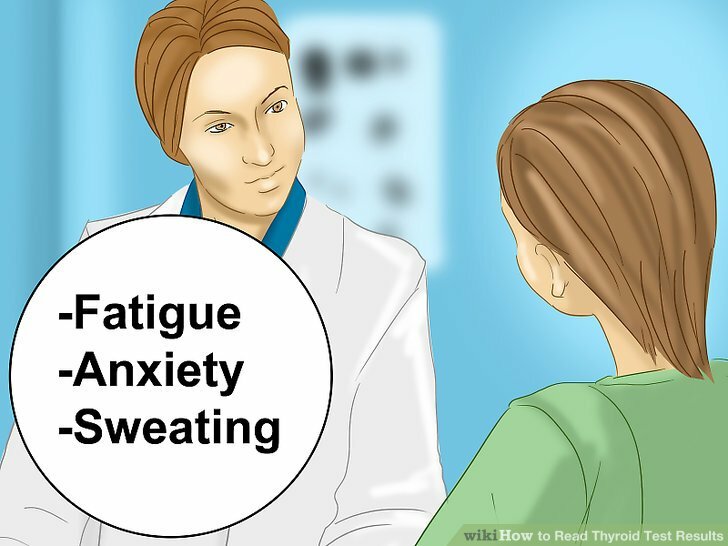 If you have been diagnosed with a thyroid disorder and are receiving ongoing treatment for it, your doctor will likely advise that you receive regular TSH tests to check in on and confirm the effectiveness of your treatment. Ongoing monitoring can also ensure that your TSH level is within the target range. The treatment for hypothyroid and hyperthyroid conditions are very different. 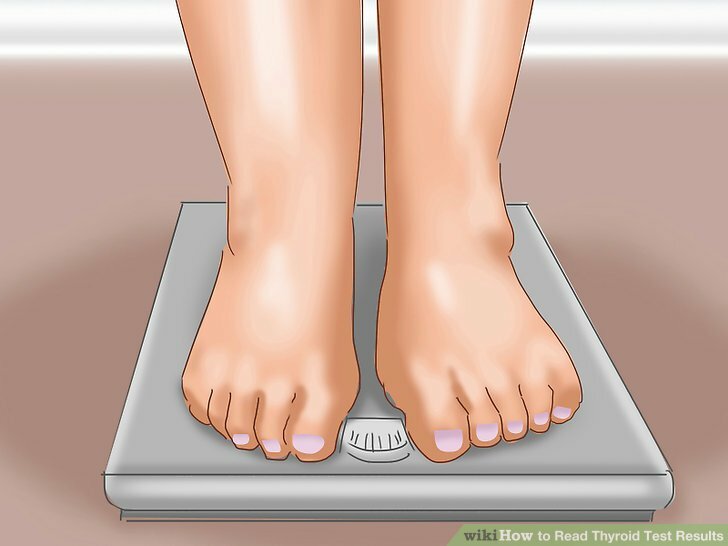 The target range for thyroid treatment is normally a TSH between 0.4.–4.0 mIU/L, although this may vary depending upon the type of thyroid disorder you have. You will likely receive more frequent monitoring at the start of your treatment, until you settle into a routine where your TSH becomes quite consistent (at which point less frequent monitoring may be appropriate, usually about once every 12 months). Check to see if your T4 reading is in the normal range. 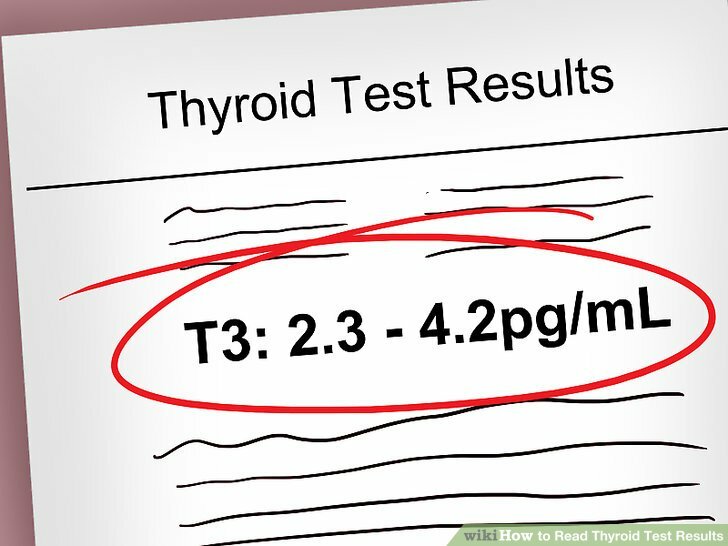 T4 is the most commonly measured hormone that is produced directly by the thyroid gland, and is subsequently released to circulate throughout the body. The normal range for free T4 is between 0.8 – 2.8 ng/dL. The exact numbers may vary depending on the lab and the specific form of test that is performed. However, most laboratory results have, next to your reading, a designated normal range so that you can easily see whether your T4 is low, normal, or elevated. Interpret your T4 value in relationship to your TSH value. 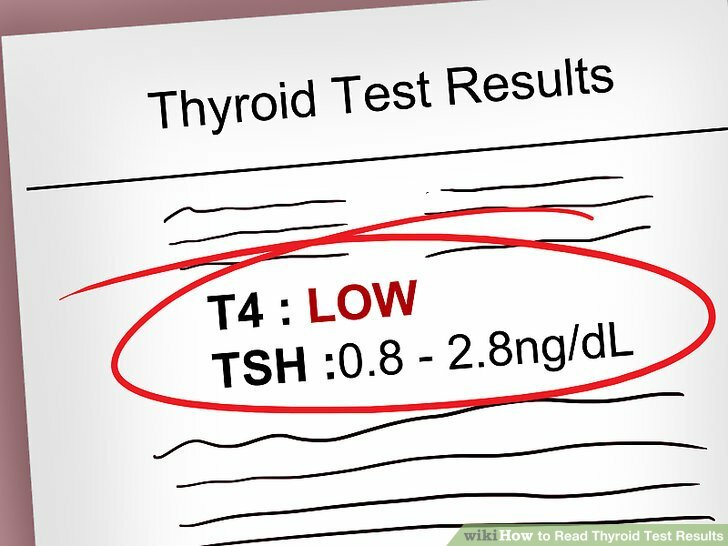 If your TSH value is abnormally high (indicative of possible hypothyroidism), a low T4 would support the diagnosis of hypothyroidism. On the other hand, if your TSH value is abnormally low (indicative of possible hyperthyroidism), a high T4 would support the diagnosis of hyperthyroidism. As previously mentioned, the results are best interpreted in conjunction with the TSH value and under the guidance of the medical professional. Assess the T3 value in cases of possible hyperthyroidism. T3 is another hormone produced by the thyroid gland, but generally in significantly lesser quantities than T4. T4 is the main thyroid hormone used in the diagnosis of thyroid conditions. There are certain cases of hyperthyroidism, however, when the T3 becomes significantly elevated and the T4 remains normal (in certain disease states), and this is when the T3 measurement becomes particularly important. If the T4 is normal but the TSH is low, a high T3 can confirm the diagnosis of hyperthyroidism. While the T3 can provide valuable information in diagnosing hyperthyroidism, it does not help to diagnose hypothyroidism. Free T3 is normally between 2.3–4.2 pg/mL in adults over 18 years old. Again, the exact numbers may vary depending on the lab and the specific form of test that is performed. Most laboratory results have, next to your reading, a designated normal range so that you can easily see whether your T3 is low, normal, or elevated. The beauty of our medical system is that patients do not have to interpret their own results. Your doctor will order tests and interpret your results. She can provide a diagnosis and begin a treatment plan, which likely will include a combination of medication and lifestyle changes. Having a general working knowledge of the results and what they mean can help you understand the disorder and help understand the treatment for the condition. Ordering your own tests can be very dangerous and often lead to misguided treatment. You would not try to fix an engine if you did not have training — this is no different. Interpret thyroid antibody testing to differentiate between various types of thyroid diseases. If you have been diagnosed with a thyroid disorder, your doctor will likely order a series of other thyroid investigations in order to more thoroughly investigate and confirm your diagnosis. Antibody testing is commonly performed, and may lead to important clues as to what is going on with your thyroid. Thyroid antibody testing can help to differentiate between types of thyroiditis and also autoimmune conditions of the thyroid. TPO (thyroid peroxidase antibody) may be elevated in autoimmune thyroid conditions such as Grave’s Disease or Hashimoto’s Thyroiditis. TG (thyroglobulin antibody) may also be elevated in Grave’s Disease or Hashimoto’s Thyroiditis. TSHR (TSH receptor antibodies) may be elevated in Grave’s Disease. 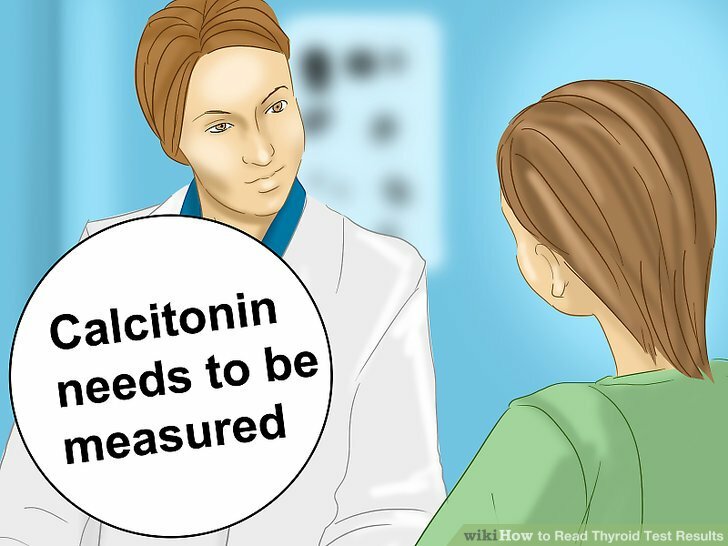 A calcitonin test may be performed to further investigate thyroid problems. Calcitonin may be elevated in cases of thyroid cancer (which may be the underlying cause behind various forms of thyroid dysfunction). The calcitonin value may also be high in cases of C-cell hyperplasia, which is another form of abnormal growth of cells in the thyroid gland. Receive an ultrasound, a biopsy, or an iodine test to confirm certain thyroid diagnoses. While blood tests can provide physicians with valuable information to detect and diagnose thyroid problems, there are cases where more extensive investigations are required to determine exactly what is going on. Your physician will let you know if he or she recommends further testing, such as a thyroid ultrasound, a biopsy, or an iodine test. 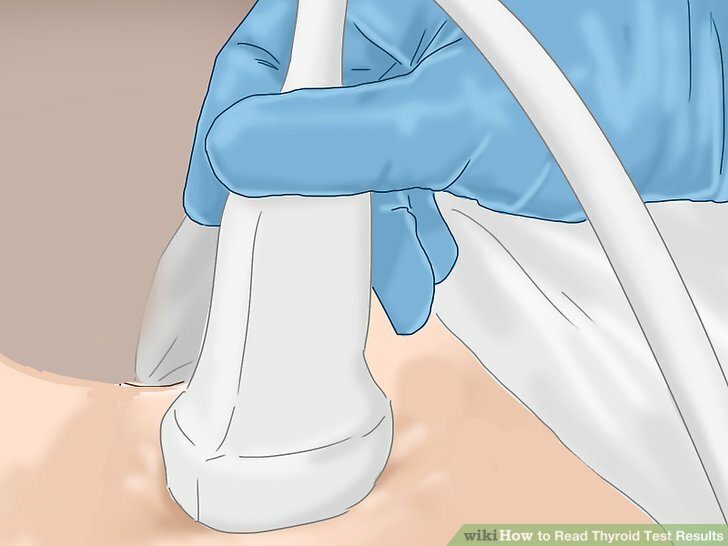 A thyroid ultrasound may be used to identify thyroid nodules. If any nodules are found, the ultrasound can provide insight as to whether they are solid or cystic (fluid-filled) nodules, both of which are require different modes of treatment. Ultrasound can also be used to monitor any growth or changes to the nodules over time. A thyroid biopsy can take a sample of a suspicious nodule and rule in or rule out the possibility of cancer. An iodine uptake scan can measure which areas of the thyroid are appropriately active (i.e. functional). It can also identify which areas are inactive (non-functional) or hyperactive (excessively functional).